Values: What transcendent, timeless qualities of our religious community will we embody in all we do? Mission: What's our transcendent purpose? What overarching difference are we here to make and for whom? Ends: What specific, measurable difference will we make and for whom? 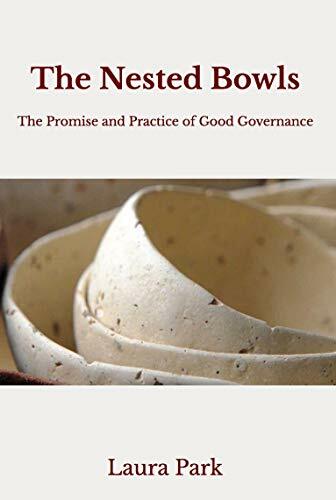 Our practical book, The Nested Bowls: The Promise and Practice of Good Governance defines and reframes the purpose of values, mission, and ends in congregational life, and provides an engaging, meaningful process for the entire congregation to inform the board’s articulation of these foundational policies. Distilling ten years of Unity Consulting’s experience in this work, The Nested Bowls offers both road map and inspiration for finding the core of your congregation’s purpose and the difference it makes in people’s lives. Available in paperback and e-book from Amazon. You can also read our blog post on the nested bowls, with examples of how congregations have answered the nested bowls questions. In 2011, Unity Consulting presented a workshop on the Appreciative Inquiry-based process to fill the nested bowls that our book describes in detail. We've provided the slides from that workshop below.